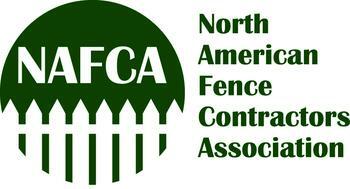 We’ll have some big news regarding our Indiana branch this month. Stay tuned. We will be at IBEX again this year, Booth 951. Please stop and say hi to John and Allen. We are now a stocking distributor of Tap-Flex® Structural Fasteners. 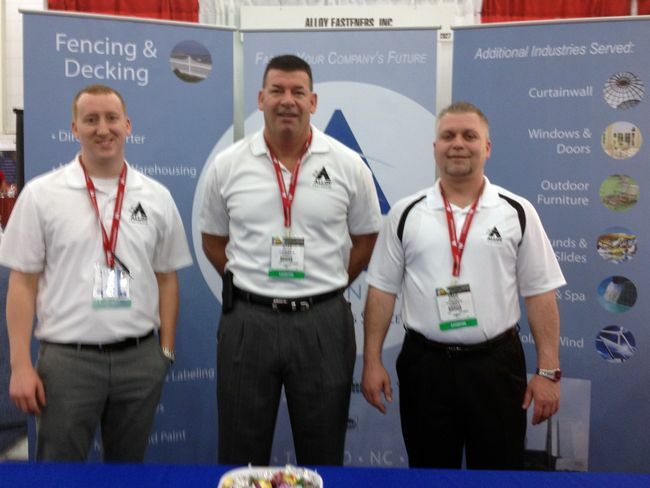 John, Allen and Craig are hoping to see you at FENCETECH 2013, Booth 2827. 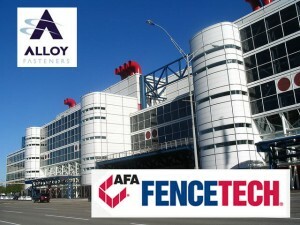 Please stop and visit us at booth 2827 at the 2013 FENCETECH show in Houston from February 27 through March 1. We will be represented by Allen Sharp, John McElroy, Craig Ippolito and Adam Delp. Too late on these, we sold ’em but we can get more. Give Johnny a call. 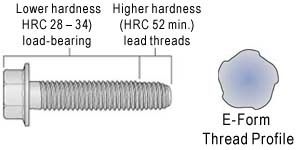 Can you use some 10 x 1-1/2 t-a tapping screws in 18-8 stainless? Do you care if the heads are a beautiful white color? How about square drive, preferred over Phillips by many. If this sounds good to you, take advantage of our ordering error and grab some of these real cheap. But don’t delay we only have about a million, call John at 800-343-0839 x 125, tell him you saw these on the website and you’ll get a great deal. Did you go to IBEX? We had a blast, lets do it again next year. Why stainless steel is so green. Over 90% of stainless steel produced today is from recycled scrap(1). The recycling process has been refined over many years and has become economically and environmentally beneficial. There are no health risks associated with the normal use of stainless steel. Using stainless helps save landfill space and its production is a non-polluting industry. Environmentally green. Even though the initial price of a stainless steel fastener is usually higher than a steel part, the life expectancy of stainless is exponentially longer. The actual cost of stainless when calculated over the lifetime of the assembled product is actually less expensive than plated steel fasteners, especially when considering replacement labor costs and possible failure rates of cheaper materials. 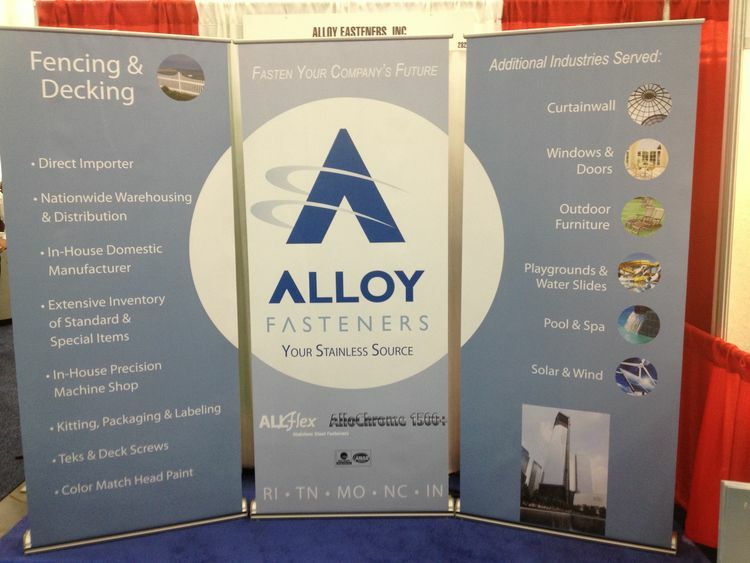 Want to save some green on your bottom line, go stainless. There is a wide range in the types of stainless steel and coatings available. Whatever the application, chances are there is a type of stainless suitable for your needs. In addition to various levels of corrosion resistance, whether it is high strength, malleability, ability to weld, non-magnetic or low tensile characteristics that are required, stainless steel is available and at reasonable costs, unlike some of the more exotic metals and polymers. 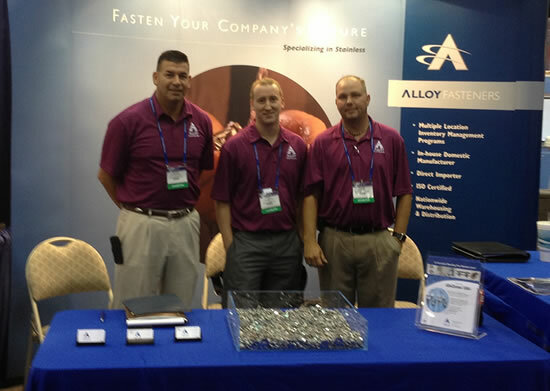 Check out our latest product, Allochrome1500+ for more some impressive corrosion statistics. 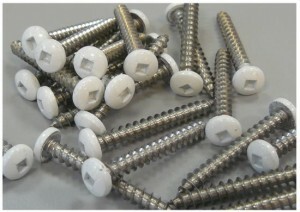 Alloy can supply your fasteners in the color or tint of your choice, including of course, green. Some industries that are extensive users of stainless are marine, food and beverage, medical, cryogenic, window and doors, electronics, valves and pumps, sporting goods, hvac, and refrigeration. If a fastener is exposed to an environment even as mild as the weather, then a case can be made that it should be made from stainless steel. How Bolts, Screws and Nuts are made.